A good, sturdy, sharp, yet safe razor makes all the difference between a nice, even, and smooth shave and razor burn or cuts.You should not use cheaply made, dull razors. We will review in this article some of the best safety razors on the market. The safety razor falls between today’s common manual cartridge razors and the barber’s straight razor. They evolved from the straight razor and they function like a mix of the two. The first safety razors were developed as a solution to the riskier straight razor, by King C. Gillette. 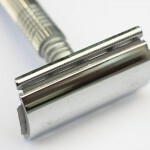 In order to protect from accidental cuts, the safety razor has its blade mostly hidden and housed in the razor’s head. The only section of the blade exposed in a safety razor is that meant to cut the whiskers. This makes safety razors substantially safer than straight razors (hence the name!). The safety razor may use double edge or single edge blades inserted between the base plate and the cap of the razor’s head. The addition of a handle was another improvement over the straight razor. This made the safety razor much easier to maneuver and control. Head – the portion that houses the blade. Handle -the portion where you grip the razor and where the head screws onto. Blade – it can be double edgeor a single edge blade. Out of all the straight razors on this page, our favorite is the Merkur long-handled safety razor. It provides a very close shave, is high quality, will last a lifetime, and is excellent for beginners. It's a truly 5-star blade. Due to the escalating types of shaving blades in the market it becomes harder to determine which one will suit your needs efficiently. 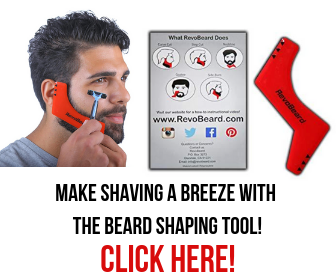 If you are probably wondering what the best razor to use is, well a double edge is good for reasons that you will come across in this article. The differences between this razor and the others are basically comfort, steadiness and feel. 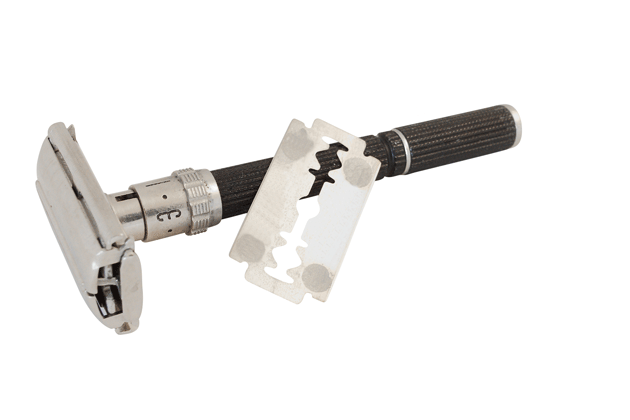 Although DE safety razors are considered traditional, their use has generally increased this call to show that it offers good service. 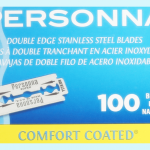 Although it may seem expensive to buy a double edged razor it is very affordable in the long run bearing in mind that the only thing you will require to buy are the blades which are actually low-priced than cartridges blades. This razor maintains a constant viewpoint while shaving due to its use of pivot, this makes it the best because it becomes easier and quicker to use. This is the best aspect about it. 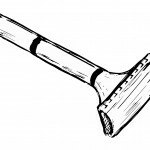 Even though most people want to go the modern way, those that have chosen this traditional way of shaving have recommended it to be economical and easy to use. If you are the type of person who values time then it is time you put aside those expensive cartridges and embrace a double edged razor this is because results have shown that it is indeed very fast to use. Due to the ability to change blades it is very easy to clean it unlike the fixed type’s razors. Compared to a multi-blade the edges of a double edge razor are sharper this means giving you quality results. The fact that it is made of just metal automatically qualifies it fit for the environment. You can simply put the blades of a double edged razors to their similar others this acts as a bonus to the many advantages it already has. The benefits of using a double edge razor are unlimited, so this is ultimately the best choice for the men who are longing to look well-presented without having to shift from one barber shop to the other. It is advisable to rinse the blades in continuous flowing water after shaving so as to maintain hygiene and durability. Also don’t forget to stretch your skin with one hand as you shave with the other to avoid injuries, it is advisable to replace the blades after you observe the need to do so. Just as the name suggests, safety razors were invented as a safer alternative to other razor types which had the potential to cause some blood loss. They are a convenient option for many people today since they are relatively inexpensive and disposable. 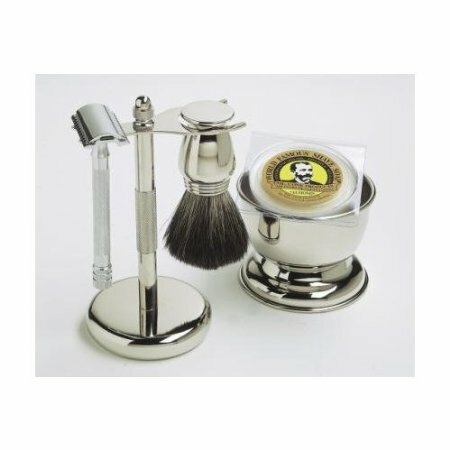 As you are going to see, there are different types of safety razor available to shavers today, founded on both construction and the kind of headpiece. So here’s your chance to find out. You can easily take notice of these razors due to their two hinged plates with a cutting head. They operate on a mechanism where you twist the knob, which eventually aids in the closing or opening of both plates, allowing you to either remove or replace the blades. It’s quite popular among wet shavers due to the fact that one is able to replace the blades pretty fast in between shaves. 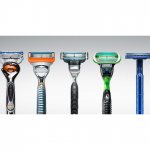 Examples of razors constructed based on this design include SuperSpeed and Gillette Adjustable, both vintage collections, and the pretty modern types such as Parker 99R and many other different brands from Parker. While using them, it’s always been recommended that you clean them thoroughly between shaves in order to increase their lifespan. One singular feature that distinguishes these two piece safety razors from the other different types of safety razor is the fact that the cutting head can be unscrewed from the entire razor when one wants to replace or remove the blades. 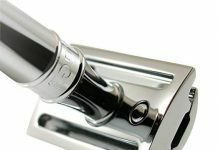 Its structure is one where the cutting head has on it a long bar screwed at the end, which is inserted into the handle and screwed into place using a knob located at the bottom of the handle. Popular examples of these two piece types include the Merkur 500 progress and Merkur 34c Heavy Duty. Most wet shavers are fascinated by it due to the fact that they find no need in tinkering with the blade in an effort to have it properly secured into place. However, while using them, take caution not to wear out the screwing threads by always avoiding over tightening or keeping the knob loose. Also, ensure you clean it on the regular. As the name suggests, these type of safety razor has 3 main parts: the handle, the cutting head and the base of the head. The only thing that sets them apart from the two-piece types is the removable base. They still hold the record as being the most popular type of safety razors available to date, with the earliest models(by Gillette) dating back to the 90s. The current models include muhle R89 and Edwin Jagger de89lbl. On cleaning and maintenance, the three-piece type also stands out as the most convenient. It really takes a shorter time to clean them. In addition, due to the fewer movable parts, these razors have the potential to last a lifetime. Nonetheless, you’ll need to be extra careful when assembling or disassembling it and also during alignment. • Straight bar design– It’s the most popular and consists of a straight safety bar. • Slant bar design– It’s the type where the safety bar is a bit tilted at a little angle. • Open comb design– These type of razor has its safety bar designed like a comp, with teeth on it. • Adjustable design– These type is one where you can adjust the space between the razor and safety bar through a particular mechanism. 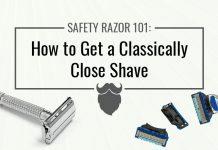 It’s pretty clear there are different types of safety razors each designed for its own specific use and people. So carefully study each of the types and find out which one is particularly suited for you. The Parker Travel Safety Razor is specially designed for travel. When travelling it is important to have a under-sized product. They are usually light-weight, small, or can disassemble into small pieces in order to save you space in your toiletry bag. This razor provides you with both portability and comfort in a quality travel razor, yet gives you the feel and performance of a full-size safety razor. The Parker Safety Razor is engineered in a full size razor that can disassemble while traveling for compact storage. This way the sturdy product does not sacrifice size for portability. Most users are impressed with this razor because it is sturdy enough for everyday use and it does not even feel like a travel razor. It comes in an elegant package, a felt-lined leather case of most higher quality. The box’s style is more attractive than other brands’ cases. 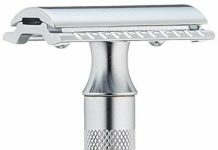 The Parker Travel Safety Razor itself has a tight-fitting assembly with a quality finish and fit.The plating is evenly applied, the head alignment is good and the knurling is precise. 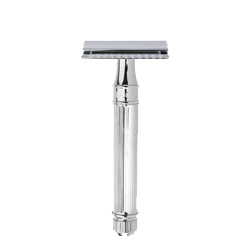 The razor comes with the standard Parker Safety Razor cutting head that has an established reputation on the market. 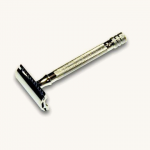 The travel safety razor has a low price compared to competitor German-made razors. 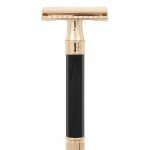 The Merkur Long Handled Safety Razor features a long handle that prevents finger slipping, and an all metal construction finished with oxidation resistant chrome. 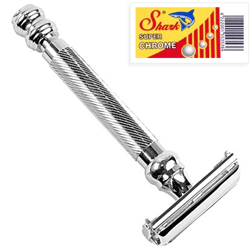 This safety razor fits standard double edge blades, such as Merkur razor blades or extra sharp Feather brand blades. 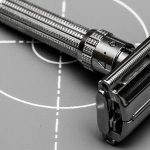 One of the reasons the Merkur Long Handled Safety Razor is among the best safety razors on the market is that it provides you a closer shave for an affordable price. The Edwin Jagger Safety Razor is a double edge shaver that provides excellent balance in order to minimize accidental cuts. 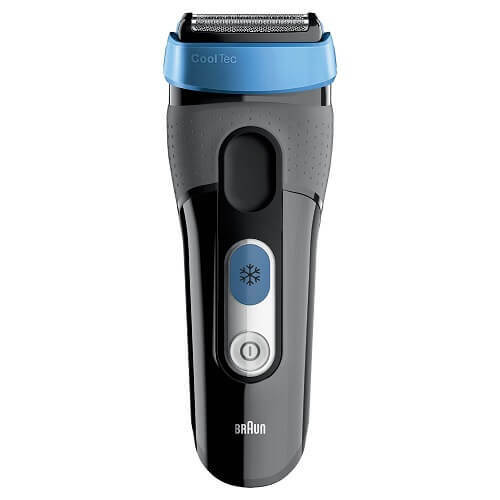 This model features a unique combed head designed to smoothly guide the blades over skin. The Edwin Jagger razors are durable enough to last a lifetime. This is a reputable brand from the United Kingdom and their shavers are precision built and are packed in an elegant Edwin Jagger presentation box. 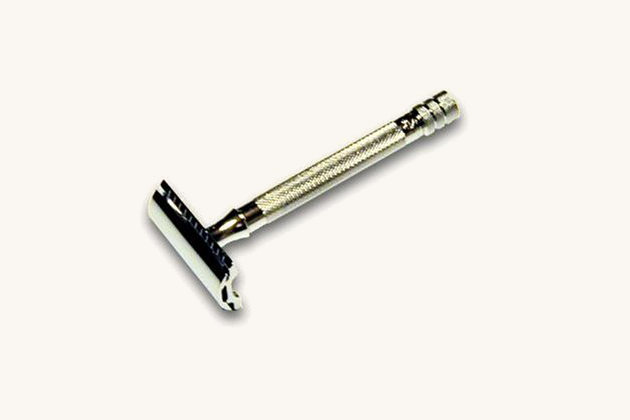 The Edwin Jagger Safety Razor is shave ready and includes five Derby brand blades. The Parker 99R is designed for those users who want to enjoy the traditional, old fashioned safety razor shaving. The razor features a brass frame with nickel plating designed to prevent corrosion and rusting even in constant wet conditions. The safety razor’s handle has a length of 4 inches that ensures the best grip needed with wet shaving.This safety razor provides a more aggressive shave, for experienced shavers. That ensures achieving the closest possible shave. This heavyweight design of this safety razor ensures there is no need to push down while shaving, in order to avoid nicks and cuts. 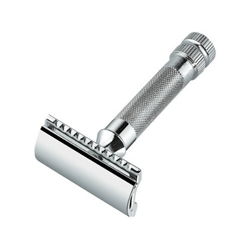 The Merkur HD 34C is designed for those men who are new to the older style shaving. 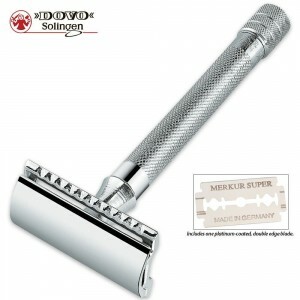 The safety razor uses Merkur heavy duty double edge blades. Merkur HD 34C features a shorter handle that has about the same length as a disposable. That makes it perfect for beginners or men with smaller hands. 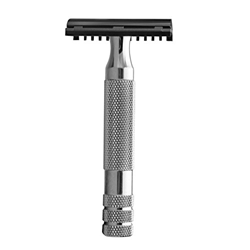 The handle has a knurled grip that ensures a very good, non-slip grip when the razor is wet. The non-adjustable safety bar is located near the blade edge, which is ideal for beginners not yet familiar with razor blade adjustments. The safety bar ensures protection against razor cuts and a milder shave. The iKon OSS is a sturdy, solid and well-built razor. The razor feels in your hand like a fine-crafted tool. The engineering is very precise, with excellent attention to detail. Down the length of the handle of the razor is featured a precision cut knurling diamond pattern which gives it a good grip texture for soapy and wet hands while shaving. A series of rings are cut into the grip to provide nice additional gripping points. The iKon OSS razor is finished in a matte stainless steel resistant to rust or damage from being submerged in soap and water. The innovative design of the dual action cutting head allows the wet shaver the convenience of both a standard safety bar and an open combin one razor. The cutting head provides a more aggressive shave and a consistent cut at a more natural cutting angle. The iKon OSS Safety Razor is not only feeling good in the hand, but it is also an elegant shaving item. 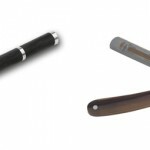 These best safety razors are stylish, elegant and fun to show to your friends, without being too expensive. They provide a safe and reliable instrument for a close shave. The safety razors feel good in the hand and provide a safe grip, due to their ergonomically designed handle. They are durable and can resist extensive use in soapy and wet conditions. Thanks Georgie, nice article. The Merkur is definitely a great safety razor, no doubt. Hey Dominic! Which razor is that at the beginning of the article in the first first picture? My grandpa had it and I’ve been looking for it everywhere! I’m not 100% sure because the image I used is a generic razor I got from a stock image library. However, I think it is pretty similar to the Parker Long-Handled razor, possibly a short-handled version. I’ve had the Merkur long handle for just under 2 years. I really like the way it shaves. However, for no explained reason the comb on one side of the base plate just broke off. I never dropped it. I can’t seem to find a replacement base plate without purchasing the whole razor.